Dr. Greg Konotopetz was born in Regina. He was raised in Weyburn and was accepted into Dental College in Saskatoon after only one year in pre-dental Arts & Science. He graduated with distinction from the University of Saskatchewan faculty of Dentistry in 1981. He operated a very successful office in Weyburn Saskatchewan for 22 years, before selling it in order to move to the Queen City. He opened Signature Smiles in 2004 and he has never regretted that decision. His move was prompted by his desire to fully utilize his extended training in cosmetic dentistry, TMJ, TMJD and Craniofacial Pain, Implants and Orthodontics. He also still practices general dentistry. He has consistently pursued quality care and continued learning. He is a graduate of the prestigious Pankey Institute for Advanced Studies, the Misch International Implant Institute and Tufts University of Dental Medicine. 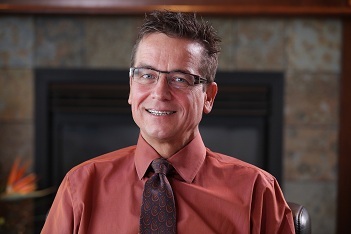 Dr. Greg Konotopetz is also an active member of the Canadian Dental Association (CDA), American Academy of Cosmetic Dentistry (AACD), the Academy of General Dentistry (AGD), the American Academy of Implant Dentistry (AAID), the International Association for Orthodontics (IAO), as well as a charter member of the Western Canadian Academy of Cosmetic Dentistry. He is also a charter member in Canadian Chapter of the Academy of Craniofacial Pain (AACP). He has had both a Fellowship and a Mastership bestowed from the Academy of General Dentistry (FAGD) and (MAGD), and the International Congress of Oral Implantology (ICOI) . He also has Fellowship from the Academy of Dentistry International and most recently, Dr. Konotopetz became an Associate Fellow in the American Academy of Implant Dentistry (AAID). He was presented with this Associate Fellowship on October 6, 2012 in Washington DC at the AAID annual meeting. Achieving Associate Fellowship in the AAID meant many months of study and preparation for a written examination, followed by an oral examination and the completion of at least 300 hundred hours of continuing education in the field of dental implants. A huge accomplishment considering he continued full time service to his patients throughout his studying. Dr. Konotopetz's office provides a variety of dental care, from preventive, to restorative, to cosmetic dentistry, including orthodontics and implants (both surgical and restorative phases). Dr. Konotopetz also provides treatments for TMJ and TMJD (Temporomandibular Joint Dysfunction), he also treats Sleep Apnea, Obstructive Sleep Apnea (OSA) and snoring with dental orthotics. You’ll be treated as a friend as well as a valued patient. You’ll appreciate our caring approach to dentistry and our personable, friendly staff. We promise to deliver dentistry with a difference. Dr. Konotopetz has focused much of his career on helping his patients achieve the smile of their dreams. He takes a wholistic approach to dental treatment and his patients have been thrilled with their care, proving this approach's success. His dentistry is delivered as if each patient were a member of his immediate family, truly caring about every person he treats. May 2016 marks Dr. Konotopetz's 35th year in dental practice. He loves dentistry as much today as when he first graduated in 1981. He and his wife Laura, have 2 adult children, Jennifer and Lisa and 4 grandchildren, Justine, Ayden (passed away in 2014 at age 12), Jaret and Kirra.